That’s me! I live with a writer. I’ve always lived with a writer my whole life. And I’m not alone. Most of the cats I know live with writers. Mom says that’s because most of the people we know are writers and writers like to have cats around. Even famous writers kept cats in their offices or studies. Ernest Hemmingway wrote with cats, presumably more than one cat. He was quoted as saying, “One cat just leads to another.” That’s true in our house! Joyce Carol Oates also loves her cats. She told someone once, “I write so much because my cat sits on my lap. She purrs so I don’t want to get up.” I can relate to that. I’d like to add to that list my mom, Patricia Fry. She makes a lap for me every morning while she’s writing the Klepto Cat Mysteries. Yes, mysteries with cats. I’m just one of many cats who have lived with mom. In fact, she calls me the baby. I’m the youngest of the three who live here now. Our mom has practically always written, but she hasn’t always written about cats. 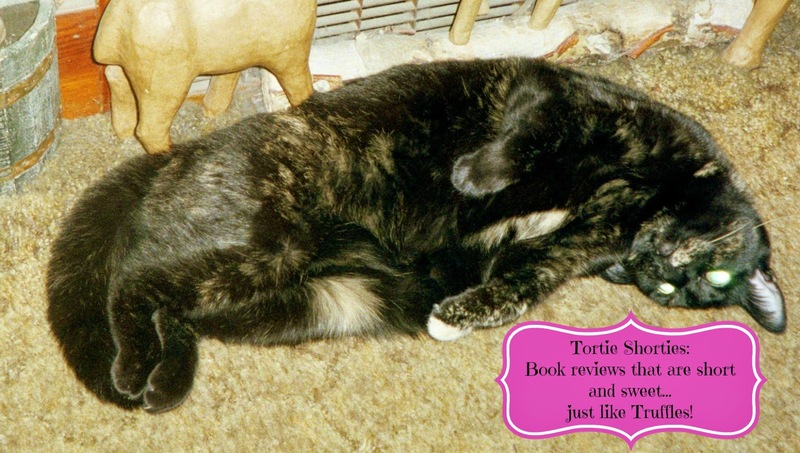 Her first cat book was Catscapades, True Cat Tales. Having always been a give-me-the-facts type writer, she wanted to try writing in story style and, she’d been collecting cat stories in her head and heart for many years. In that book, she even wrote the story of my awful accident when I was just a kitten and the cat tree fell on top of me. Mom quit writing for a solid week just to take care of me. She slept next to my bed every night. She and Dr. Bailey worked hard to save me and today I am just fine. Mom still gets teary when she tells someone about my accident. I’m also in the Klepto Cat Mystery stories. So is our tortie, Sophie and the old guy in the household, Max. But you might not recognize us. When Mom creates cat characters for her books, she sometimes uses us as models. She might develop a kitten with my personality, but who looks like Max, for example. She sometimes sits and watches how we act and react to things so she can describe it in the books. It’s all rather mysterious to me. I’m just glad that Mom is a writer and that she spends so much time providing a cozy lap for me to curl up in. 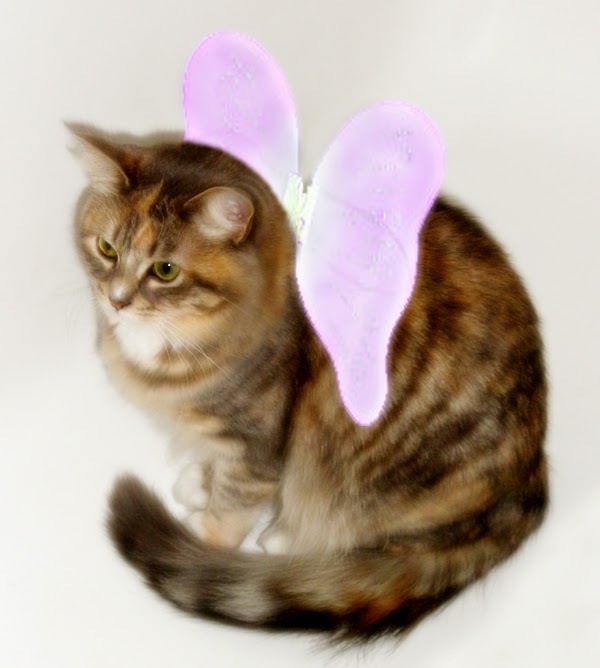 Lily is a dilute tabby who was born in an abandoned VW six years ago on April Fool’s Day. One of 15 kittens born on that property that year, the choice was easy for Patricia to make. She fell in love with Lily at first glance. Lily says she’s the one who made the choice. Lily lives with her best friends Sophie (a 10-year-old tortie) and Max (17—a snow-shoe-type cat)—both also rescued kitties. Patricia Fry is the author of 49 books, and counting. She just published the 9th in the Klepto Cat Mystery series, Mansion of Meows. The Klepto Cat Mysteries are light, fun cozy mysteries full of adventure, intrigue, and a little romance. They feature Rags, an ordinary cat who just can’t keep his paws off other people’s things. Often, the treasures he finds are clues in a mystery. Follow Rags’s fascinating life path from when he and Savannah were single and he roamed the neighborhood stealing everything from toys belonging to large dogs to jewelry and bathing suits. Rags and Savannah don’t stay single long. After meeting Michael, a handsome veterinarian, Savannah settles down, but the cat doesn’t change his thieving ways. Even though his kleptomaniac habit is annoying and embarrassing to his family, he has earned the respect of the local sheriff’s department and he was even asked to star in a documentary. You can find all of Patricia’s books on Amazon. Patricia Fry's Klepto Cat mystery series is such a joy for cat-loving bibliophiles. The releases have been coming fast and furious lately and sadly I've fallen behind in keeping up with Rags' adventures. Picking up the 9th book in the series was like catching up with old friends and a reminder of why I have loved these books so much. This book is extremely atmospheric with the opening scene taking place in a creepy, remote marsh and Savannah's Aunt Maggie injured after being hit on the head. Then we backtrack to how the ladies ended up in such a scary situation. The premiere of Rags' documentary is being shown at the San Francisco mansion of the film's investor, where it becomes immediately apparent that some strange things are going on. A supposedly unoccupied room with shadows in the light shining from under the green door, obvious signs of cats in a supposedly feline-free house, a mysterious gravestone in the middle of nowhere. Then finally Rags goes missing and the dark secrets behind mansion walls begin to see the light of day. I just can't get enough of Rags and hope that he has many, many more adventures ahead! 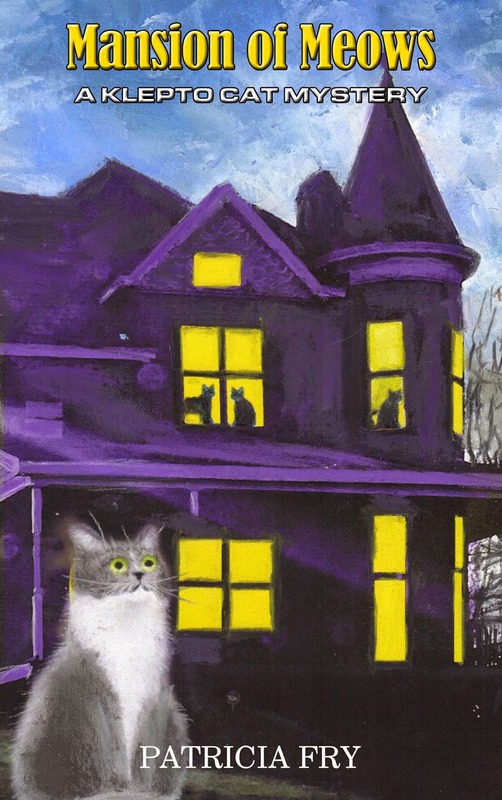 Giveaway: Patricia is generously giving away THREE Kindle copies of Mansion of Meows. Leave a comment by noon eastern on Wednesday, March 18th, for your chance to win, and please don't forget your email address! I've always known that both readers and writers love kitties! My cat, Max, thinks this is a book I would enjoy.. I agree! Thank you for the giveaway! Our mom is working on her writing skills since she was always a mathematics person. Thanks, Melissa, Truffles and all of you who stopped in this morning. Lily and I appreciate such a nice welcome. Wishing you good luck in the contest. We do hope you'll enjoy the Klepto Cat Mysteries. Oh! This sounds like so much fun. I'd really love to read this and would like to enter to win a kindle edition! - Crepes. Would love to read another kitty mystery with my Mommy. Her email is ladycristant at aol dot com. Cute kitty. That looks like ME on the cover. I am very happy to see another in the series. These would make a great tv show or movie too. Aren't all cats kleptos? Two cats for me and both steal, I mean borrow, from the neighbors to give to me. love this cover & would also like to read this!! Thank you all for stopping by and for your interest in the Klepto Cat Mystery series.